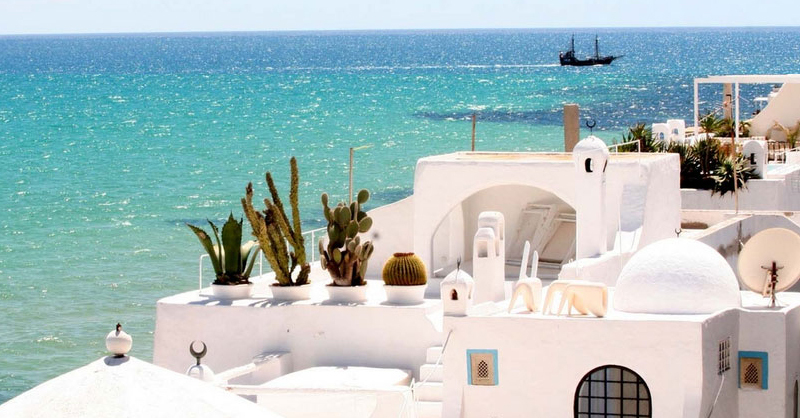 With its fantastic coastline, 1,250 kilometres of fine sandy beaches and its string of idyllic islands, Tunisia is one of the best-known Mediterranean destinations for seaside holidays. The wide range of hotels, resorts, activities and leisure options guarantee a fun-packed holiday. Less well known are some of Tunisia’s romantic beaches, well-kept secrets off the beaten path, studded with unusually shaped rocks, or lined with palm trees and golden sand dunes. The beach lovers with a limited budget relish holidays in Hammamet, one of the oldest resort towns of Tunisia known for its luxuriant vegetation. Enjoy a walk in the beach of Hammamet, then see the interesting exhibits at the Museum of Religions. Play a few rounds at the Citrus Golf Course, and finally at the tee-off Golf Yasmine. Known for its historic Medina, a World Heritage Site, the city of Sousse has a rich history dating back to the 11th century. History lovers will appreciate Forte El Ribat and El Jem Amphitheater. You will enjoy part of the beach on vacation in Mahdia Beach and Tunisia Water Sport in Sousse. Discover the many day trip ideas around Sousse: Monastir Marina (in Monastir), Kairouan (Great Mosque of Kairouan and Medina of Kairouan) and El Jem Museum (in El-Jem). The adventure continues: Relieve your aching muscles some of the top local wellness centers, contemplate the long history of the Kasbah of Sousse, tee off at El Kantaoui Golf Course, and get your game on at the Karting Monastir. Explore the charming beaches and villages on holiday on the island of Djerba, a small island in the Gulf of Gabes known for its Berber population.Visite Cave of Ali Berbere and Fort Ghazi Mustapha for their historical value. Fly the crowds of tourists and head to Sentido Djerba Beach and Djerba Golf Club. Change things with these coastal travels from the island of Djerba: Sangho Beach (Zarzis) and Midoun (Ranch Yassmina Djerba La Douce, Krokodilfarm Animalia, and more). The adventure continues: examine the collection of the Museum of Traditional Heritage Djerbien, do not miss a visit to Djerbahood, take in the spiritual surroundings of Sidi Yati Mosque, and discover the deep blue sea with a sea or snorkel tour. Explore the charming beaches and villages on holiday on the island of Djerba, a small island in the Gulf of Gabes known for its Berber population. Visit Cave of Ali Berbere and Fort Ghazi Mustapha for their historical value. Fly the crowds of tourists and head to Sentido Djerba Beach and Djerba Golf Club. Change things with these coastal travels from the island of Djerba: Sangho Beach (Zarzis) and Midoun (Ranch Yassmina Djerba La Douce, Krokodilfarm Animalia, and more). The adventure continues: examine the collection of the Museum of Traditional Heritage Djerbien, do not miss a visit to Djerbahood, take in the spiritual surroundings of Sidi Yati Mosque, and discover the deep blue sea with a sea or snorkel tour.